This blended Scotch is as ‘smooth as a pig’s nose’, so the saying goes. ‘As smooth and soft as a pig’s nose’ was the boast on the label of this curious blend, which first appeared in 1977 in the West Country. The brand partner of Sheep Dip, what may have started out as a bit of fun ended up being a relatively rich 5-year-old blended Scotch with 40% malt content from Speyside, Islay and the Lowlands combined with Invergordon grain whisky, all matured in first-fill ex-Bourbon casks. Young, creamy and sweet with just a touch of coastal smoke. Pig’s Nose was first bottled as a 4-year-old blend in 1977 by a gentleman farmer and publican to join its forerunner, Sheep Dip, which was his in-house brand. The pub was in Oldbury on Severn, and as the small concern of MJ Dowdeswell & Co Ltd grew it eventually supplied the likes of Fortnum & Mason and entered the market US, Canada and New Zealand markets. Pig’s Nose, along with its partner Sheep Dip was eventually picked up by Invergordon Distillers, which became a part of Whyte & Mackay following a hostile takeover in 1993. 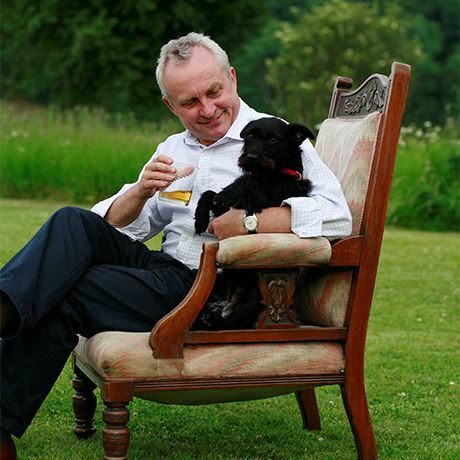 Come 2005 the brands left Whyte & Mackay with then chief operating officer Alex Nicol, who established Spencerfield Spirits Company in Fife with his wife, Jane. Pig’s Nose – and Sheep Dip – continued to be blended by Whyte & Mackay master blender Richard Paterson until Spencerfield Spirits was acquired by Ian Macleod Distillers in late 2016. 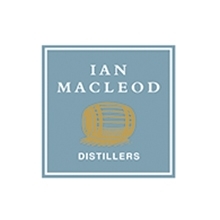 Quaintly-named blended malt now owned by Ian Macleod Distillers. Blended malt whisky named to honour the craft of making ancient golf balls.